Policy Fellow Applicants will be asked to provide an abstract describing their efforts to influence, inform, or advance a policy matter that affects the individuals, families or communities with which they work. If selected for the program, Fellows will work one-on-one with their mentors through virtual communication to further their change strategy and thoughtfully develop their work in preparation for presenting at the NSWM’s Annual Management Conference. Motivation: Why do you care about this policy issue? Problem Statement: What problems are you trying to solve? Approach: How will you go about solving or making progress on this policy issue? Educate policy makers with research findings and other data in order to promote better policy solutions for vulnerable populations and communities served by that agency. 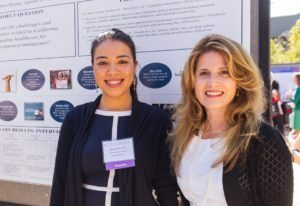 The Policy Fellows program requires participants to make a commitment to reflection, study, and the development of skills and new relationships. Fellows join a diverse cohort of 10 professionals representing various social work sectors. Fellows will participate in group check-ins for support and to foster a peer network. Fellows meet once a month with a mentor between October and early June, and travel to San Diego, CA for the Network for Social Work Management’s two-day Annual Management Conference. Fellows will all have the opportunity to formally present their projects at the Network’s Annual Management Conference. 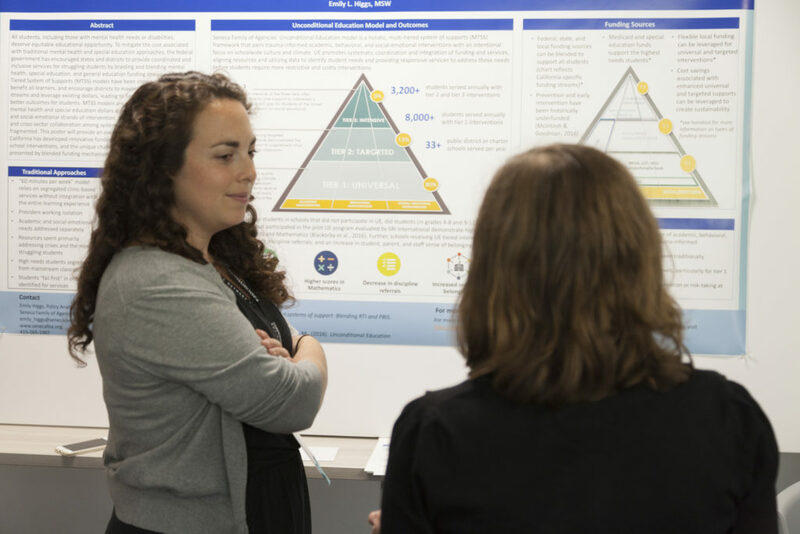 Fellows will engage in a poster project of their own design to address a public policy issue, which will be presented at the Network for Social Work Management’s Annual Management Conference. Policy Fellows can expect to spend a few hours per month on activities related to the program. View an example of a poster project here. Fellows will present on a panel about the past two years of work they have completed throughout the Policy Fellow program at the Annual Management Conference. Submission of the Policy Fellows application form. Preference given to holders of a Masters degree who work in a management capacity. Hold a strong interest and/or experience in policy. Availability to participate through the length of the program (9 months, October 2017-June 2018). Availability to travel to the Network’s 2018 Annual Management Conference in San Diego from Thursday, June 14 to Friday, June 15 (All registration fees will be waived and a minimal travel and supply stipend will be provided). 10+ years of experience as a manager in the policy human services sector. PhD is preferred. Access to equipment (internet and telephone). ATTN: The Policy Fellows Program will be taking a break this 2018-19 year. If you are interested, please follow up with us in June 2019.